The Charismatic truimph between Kolkata Knight Riders and Rajasthan Royals was quite intresting . 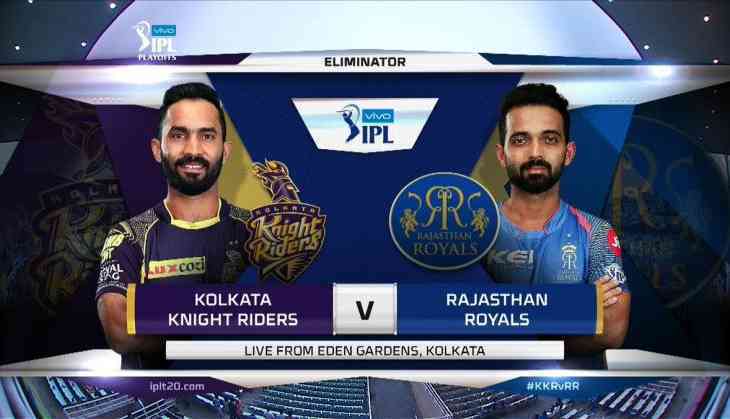 The KKR won the match against RR in eleminator round of IPL 2018. They move close to seize IPL trophy in their cabinet at the Eden Gardens.Now KKR will face SRH in Qualifier 2 , on 25th may to registered their spot into the Finals. These are the awards given to players who performed brilliantly in the match against RR at Eden Gardens. The Kolkata Knight Riders finished it in their own way putting 169 runs on the board with a loss of 7 wickets. The openers of KKR failed to provide the momentum for the team. The batsmen struggled in their home ground in front of the Rajasthan bowlers. The batting line up of KKR got triggered by the RR pacers. The opening batsman Sunil Narine (4 runs) and Chris Lynn (22 runs) forecast their flop show in the Eden Gardens. In the Middle over’s, both Robin Uthappa and Nitish Rana managed to score 3 runs on the board. But KKR-led Karthik (52 runs), Shubman Gill (28 runs) and Russell (49*) powered the innings to manage competitive total on the board. Andrew Russel was in Seizling form after hitting 5 sixes over the row. Dinesh Karthik and Shubman Gill added 55 runs for the fifth wicket. Kolkata Knight Riders lost top-four batsmen in just eight overs. The Bowling department of RR was quite impressive and managed to put pressure on the KKR side, result they lose 4 early wickets. Krishnappa Gowtham, Jofra Archer and Ben Laughlin took 2 wickets each where as Jaydev Unadkat and Ish Sodi failed to get wickets in their 4 over spell. The dew comes in, the pitch has little bit turn which benefits the spinners and hence this will be a tricky old chase for RR. Rajasthan Royals skipper Rahane and Rahul Tripathi opened the innings. It was very gud to see captain leading from the front. Rahul lost his wicket after a strong start, he just managed 20 runs from 13 baalls. After that Sanju Samson and the skipper provided the momentum the team, scored 90 runs with 1 wicket down in 10 overs. Waooo! Prasidh Krishna provided breakthrough for his team. He took the wicket of Stuart Binny in crucial time.